"The 26-year-old defender underwent a thoracic outlook procedure Wednesday to remove his first rib due to compression of the vein causing clotting problems. Williams has been discharged from the Ohio State University Medical Center and will be re-assessed in two months. For now, he has been placed on the disabled list, which means he must miss a minimum of six games." Don't want to get too dark here but recently lost a co-worker from blood clot complications. Believe it or not, he was a former Clemson Tiger gridiron player. Lesson: It is to be taken seriously. Josh has been one of my favorite Crew players since he started. His passion, approach and drive is infectious. I'm not alone in this. Just recently I heard a story about a roving band of female Williams' supporters in the Nordecke that strike down non-believers (true story). When he first started getting playing time I wrote about his pretty remarkable impact HERE. 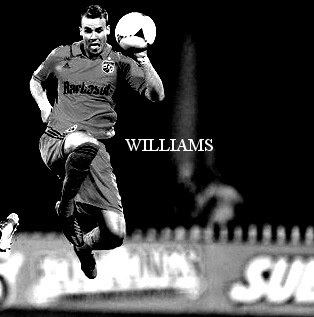 In that post, I talked about how Williams is some sort of athletic mistake. Like he was more destine to be on the gridiron or on the hardwood. I still think that. What I've seen of him over the years is a player that has all those tools you see jackass pundits talk about. Heart, effort, leadership, intangibles! More times than not, the players they describe don't have those things. I'm not just saying that as another jackass. What he lacks in technical ability, he makes up for in all the other categories. Go back and watch the games where he is on the pitch. Note the intensity, the feel, pace. Communication from the sidelines, the crowd involvement. The sideline reporter once gave a passionate report on him taking off his wrist tape! These are things that just don't happen without certain types of player. Case and point: right now with the Columbus Crew. What also doesn't hurt is that when he plays, the Crew have better results. In a lot of ways, good or bad, the Crew are Josh Williams over the past 4 seasons. My favorite example comes in the form of a US Open Cup match a couple years ago when Dayton was beating the Crew. I witnessed Williams single highhandedly trying to drag 10 unmotivated teammates to victory. In the sport of soccer there are only a rare few that can change a match with talent. Messi, Ronaldo, Muller types. Rarer still, at least in my eyes, are guys that know they aren't those guys but clock in anyway with 150%, etc... Programmed to go all day, every day. Drop him into a new spot and expect him to learn it on his own. Ask him to remain true to an organization going through a investor / operator change and three different coaches. 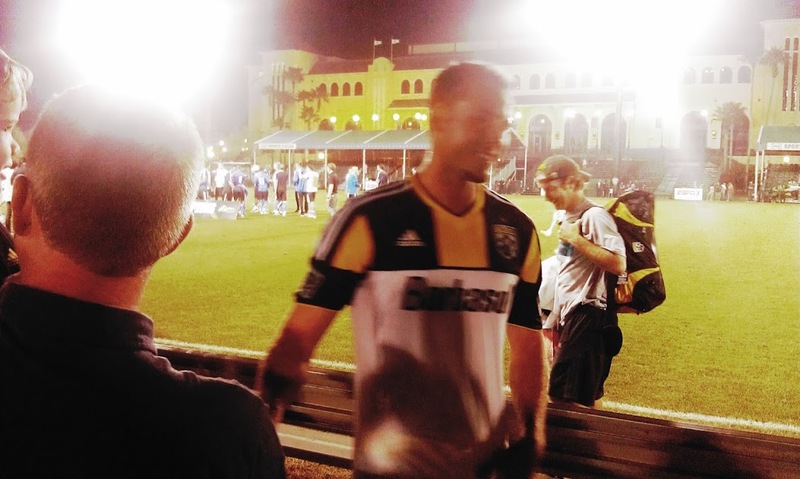 Ask him to thank the supporters after all the dark summer nights in Columbus. Ask him, and he'll do it. Can't wait to see Josh Williams back out there giving it his all.